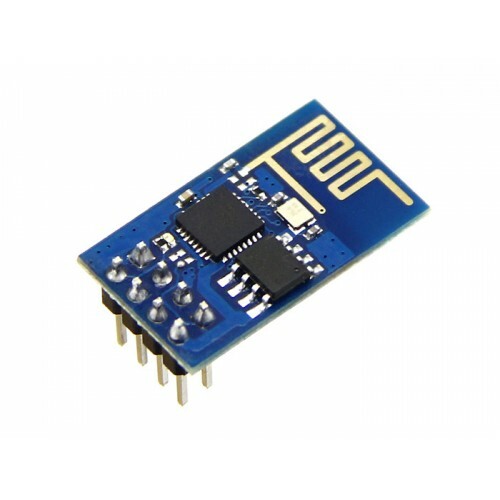 Buy online ESP8266 WiFi Module in India from DNA Technology at low cost. With the popularity of IoT. Internet-connected devices built with Arduino shields or single-board computers like the Raspberry Pi and Beaglebone has exploded and there is a big demand for low-cost and easy-to-use WiFi modules. Thats where the ESP2866 Serial to wifi module comes into picture. ESP8266 ESP-01 Serial Adaptor BoardThis is a adaptor module for ESP-01 Wi-Fi module. It has on-board..
ESP8266 5Volt Wifi Relay ModuleThis WiFi relay module carries a ESP8266 WiFi module and micro contro..